While in high school at Concord Academy, I led our student engineering club, DEMONs (Dreamers, Engineers, Mechanics, and Overt Nerds). The goal of the club was to use engineering as a tool to help the school community. The normal design cycle for a project would proceed as follows: First, another student club, an academic department, or one of the artistic groups on campus would come to us with a problem they were facing and weren’t sure how to solve. We would then work with them over the next few months to design, build, test, and refine a solution. I found this to be a very rewarding process, as we got to see the direct impact that our work as engineers was having on a community that we were part of. A fleet of autonomous-underwater-vehicles (AUVs) for the oceanography class. A computer controlled incubator for the biology department that allowed for custom heating and cooling cycles for bacterial culturing. 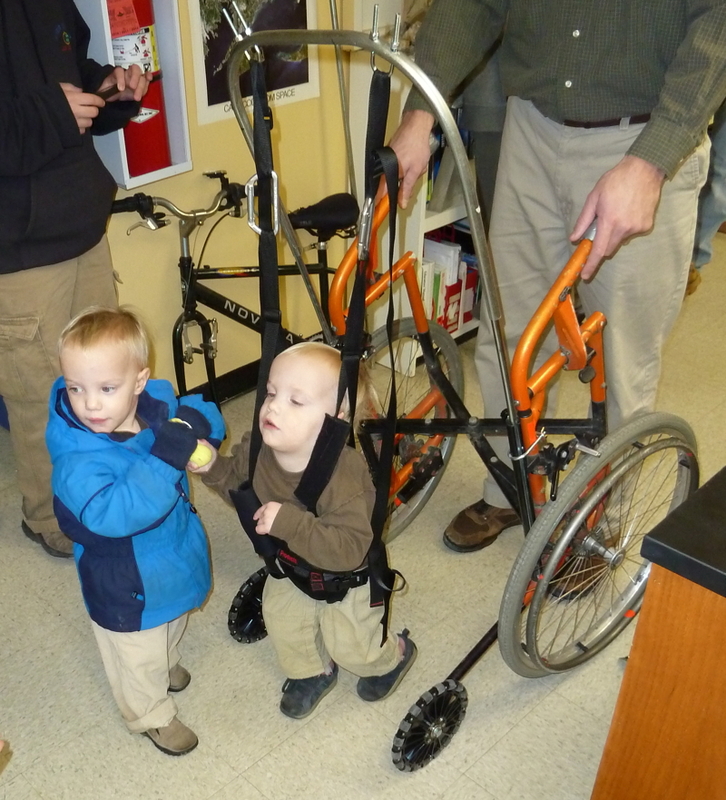 A therapeutic walker (pictured at right) for a faculty child who has Cerebral Palsy. There was also a Boston Globe article written on this project.